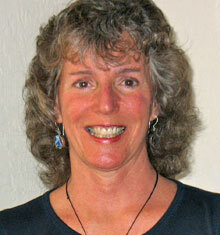 Janet MacLeod fell in love with Iyengar Yoga in London, England in the late 70's. She became a Certified Iyengar Yoga Instructor 35 years ago. Originally from Scotland, Janet teaches throughout the United States and conducts guest workshops and retreats worldwide. Although her classes are demanding, she makes yoga a joyful journey with surprising destinations! Friday 7:00 - 9:00 p.m. PERFECT for Friday evening - a variety of supported poses. Saturday 12:00 - 2:00 p.m. Comparing and Contrasting Adho Mukha Svanasana (dog pose) with Uttanasana (standing forward bend). Saturday 4:00 - 6:00 p.m. King and Queen of the Asanas; how to safely move into these poses physically and psychologically. Sunday 12:00 - 2:00 p.m. Backbending with Ease. Discover a rare level of comfort in these exhilarating poses with Janet’s skillful sequencing. All proceeds from this weekend retreat will benefit the Aaron Rogers Norcal Fire Recovery Fund aiding victims of the Camp Fire in Butte County, CA. Scholarships are available to Camp Fire victims. Please contact Ada directly save your space. In this intimate workshop weekend we will explore a wide range of yoga postures while learning and integrating joint and muscle anatomy to help embody important structural and alignment points. We will gradually build from simple movements to more challenging poses so that everyone can grow in a safe and supportive atmosphere. You will leave knowing more about how your body works and ways to practice safely and effectively for a lifetime. Space limited. Ada Lusardi’s classes and workshops marry the heart and science of yoga by offering nuanced and precise teaching with warmth and humor. Through the use of compassionate and clear direction, intelligent sequencing, and skillful hands-on adjustments, her teaching challenges and refines one’s yoga practice, regardless of age or ability. A self-professed “anatomy geek,” she leads classes and retreats throughout California’s Bay area and around the country. She is a graduate, and faculty member, of The Berkeley Yoga Room’s Advanced Studies Program, a long time student of Donald Moyer and Mary Lou Weprin, and a perennial student of yoga and life. Give yourself the opportunity to luxuriate in a three hour yoga practice. Slowing down and taking time allows you to drop more deeply int the poses, developing steadiness and ease even in more challenging poses. Navigating through the waters of turmoil in romantic relationships is tough stuff, especially when more than one romantic partner is involved. So together we'll be exploring the many questions, tools and shared insights hiding in the love boat of the human heart. This will not be a regular class environment, we will be looking at different body parts in the asana in general rather than working on asanas. 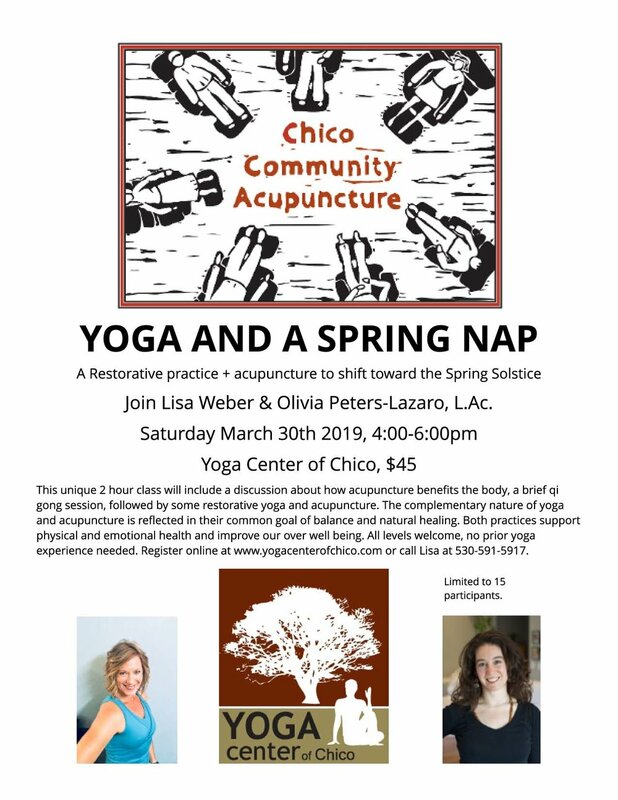 This is a three part workshop designed for the student or beginning teacher who wants to understand what is going on in their body while practicing, and how to work with it. We will also be going over some of the basic problems and solutions to orthopedic issues that occur in the classroom. Three evenings of Beginning and Advanced wisdom culture skills to help ourselves and our community in this challenging time and season. Marc Sorensen was introduced to meditation in 1976 and began his committed practice in 1980. He has been sharing his experience with private clients and in open classes and seminars since the mid to late 80’s. This workshop is offered to help empower you on your new year personal journey of renewal and re-connection. When we lose our compass as many of us did in the recent Butte County fire tragedy, our yoga practice is meant to invite us inward to better understand our strengths. Together we renew the courage to gracefully meet life's challenges. The creative moments of being fully present in any yoga pose allow us to ground with certainty, no matter what! Come share in the resilience of your ever-evolving yoga practice. You are invited to gather with Bryan Anthony Phoenix and our community of open-hearted souls to give thanks for all the amazing people and experiences that have brought great blessings to our lives. Bryan is asking you to take his hand as he guides you down the road of his life with songs and sounds that are meant to remind us all that beauty, growth and gratitude can be found even in the darkest of times. I will invite you all to smile with me, to cry with me, to laugh with me, and, most importantly, to SING with me! We will begin with an opening ceremony of Cacao and gratitude sharing. This is a family-friendly event and no one will be turned away for lack of funds. Come join us in gratitude and song! 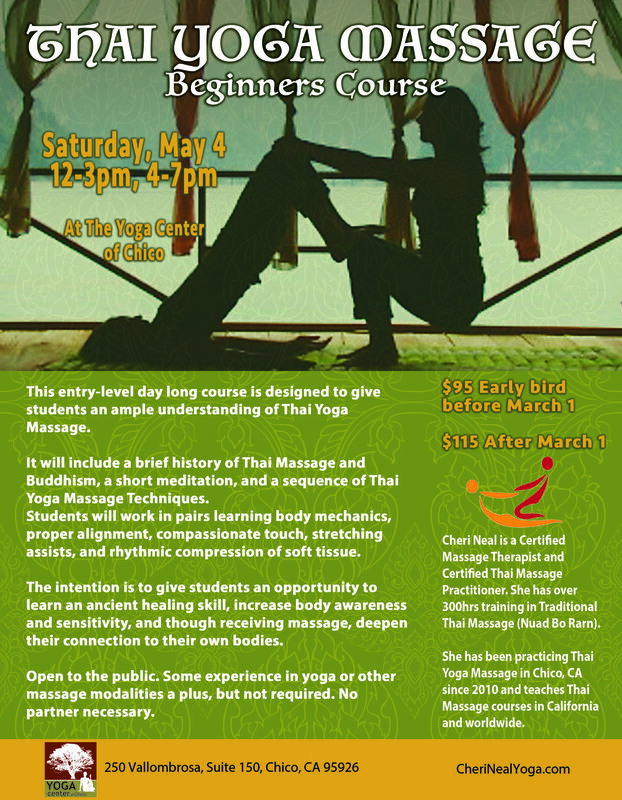 This popular class is a great opportunity to deepen your yoga practice with an emphasis on yoga anatomy with an experiened, excellent teacher, Jon Lee. We welcome Losang Samten to Chico as he begins the sand mandala at the Museum of Northern California Art (MONCA) October 18. As many of us know, thousands of years ago in Northern India and surrounding mountain regions like Tibet, yoga practices and Buddhist thought were available for study and development by teachers and students of meditation. It was a very rich time for the seekers who found their way there. Today we often hear of yoga and buddhism as two separate lineages or directions to take. This talk is an opportunity to think about what yoga is and what Buddhism is. Losang Samten will undoubtedly have many insights to share in his delightful storytelling manner. Please join us at the Yoga Center in welcoming Losang Samten! Questions for Losang will be accepted until October 21 at ritvashanta12@gmail.com. Western Science is now measuring the numerous benefits of relaxation to the body and mind, which yogis have long known. With Restorative Yoga now on the rise in popularity in the US, it is no wonder that this practice of relaxation and ease is so successful. From a young age we are taught how to strive, work hard and keep moving, but rarely have we been shown how to rest and rejuvenate. The Restorative Yoga practice teaches us how to relax, become still and get centered. Spira’s Restorative Yoga Training is a 3-day intensive for those interested in diving deeper into a Restorative Yoga practice as well as for those wanting to learn how to teach Restorative Yoga effectively. Yoga students can learn how to sequence a home practice and improve their relaxation skills both in and outside of the yoga classroom. 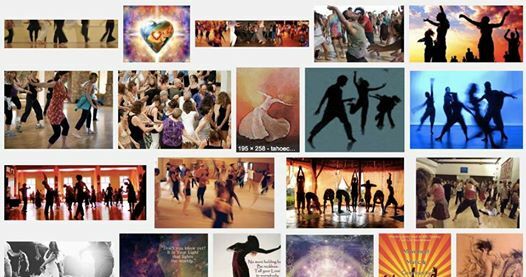 Yoga teachers can build upon their teaching techniques and broaden their repertoire by learning effective methods of teaching, sequencing and assisting students in this increasingly popular practice.